Innovation. Continuous Improvement. LEAN Practices. Digital Workflows. Our areas of expertise in civil, structural, and foundation engineering as well as our experience in Building Information Modeling (BIM) and Virtual Design and Construction (VDC) processes provides our clients with value added services that differentiates us from other engineering firms. Our wide range of experience allows us to provide our services to the commercial, residential, and industrial sectors. Our commitment to LEAN practices focuses on reducing non-value added activities that benefit our clients through our research and development (R&D) of technology, leveraging our models for downstream stakeholder use, encouraging the use of digital workflows, and nurturing a continuous improvement culture. Residential projects ranging from newly constructed homes to "camelback" additions as well as forensic damage determination such as wind versus water claims after Hurricane Katrina. 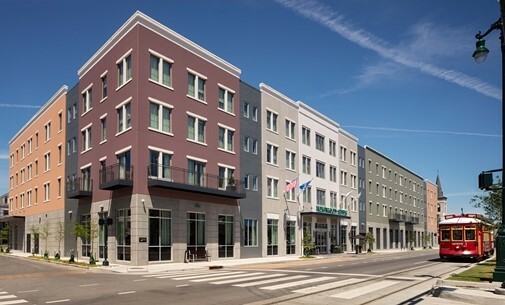 We offer our services to a wide range of commercial building projects, ranging from office buildings and multifamily to entertainment venues, parking garages, and healthcare, just to name a few applications. Our engineers have years of experience in the industrial sector. From the oil, gas, and energy sector to warehouse distribution and heavy storage, we can provide engineering and consulting to a variety of applications.